as well as other language combinations. In 1995, I graduated as MA at the University Of Tampere, Finland. My major subject was translation and interpretation German-Finnish-German. Minor subjects were communication in Finnish language and business administration, especially accounting. This gave me also a profound understanding of economic and financial issues in English, which was partly the language of instruction. Additionally, I took part in Swedish communication and interpretation courses. Communication in Finnish was an integral part of my studies. After my graduation I took part in an intensive interpretation training organized by the European Commission in Brussels. There I practised daily interpretation (simultaneous and consecutive) from English, German and Swedish into Finnish. Since then I have worked as full-time translator and interpreter via my own company. I translate among manuals and other technical texts, scientific articles, financial reports and juridical texts. 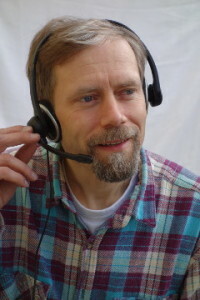 I am member of the Finnish Association of Translators and Interpreters (SKTL). I am a sworn translator from German into Finnish and from Finnish into German. To make an enquiry, please click here!